Summary: (Taken from GoodReads) Jaenelle Angelline now reigns as Queen-protector of the Shadow Realm. No longer will the corrupt Blood slaughter her people and defile her lands. But where one chapter ends, a final, unseen battle remains to be written, and Jaenelle must unleash the terrible power that is Witch to destroy her enemies once and for all. Thoughts: The primary 3 Black Jewels books are finished, and the story of Jaenelle has come to something of an ending, albeit a pretty bittersweet one. 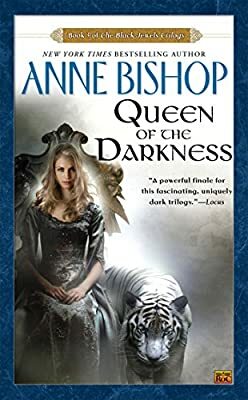 Queen of the Darkness does quite a good job of wrapping up the story started back in Daughter of the Blood, bringing the tale of this incarnation of Witch to a satisfying close. Years have passed between Heir to the Shadows and Queen of the Darkness, and Jaenelle has come more to grips with her nature and how she must rule. Dorothea and Hekatah are still reaching out to not just take over Terreille and Kaeleer but also to seize control on Witch and eliminate her ability to stand against them. Daemon is out of the Twisted Kingdom and has recovered enough to seek out Jaenelle once again, though he isn’t entirely confident about where he stands with her. Much of how I feel about this book can be tied back to how I felt about the first book in the series, and in comparison to it. Where at first I found the darky-dark names to be over the top and very much “dark for darkness’s sake,” by this point I’ve grown used to them and they no longer seem quite so bad. It helps that there’s more to them than just references to things in real-world mythology; for instance, Lucivar’s name is, at one point, revealed to be fairly typical of Eyrien names, at least in terms of the ending (names that end in -ar are names used for males), so it seems less like a corruption of Lucifer and more like a proper name in its own right. Many of the questions I had while reading the first couple of books, particularly about how the world worked, got concrete and direct answers here, which was nice to finally see. Though admittedly, this is something of a retrospective drawback, since there’s a difference between a slow reveal and between just throwing a reader in and expecting them to overlook multiple things that don’t get explanations, especially when so much of Daughter of the Blood was devoted to info-dumps about how things work. It’s nice to see answers, but that floundering feeling isn’t a pleasant one. It does, though, make this series have plenty of reread potential, since it will be rather interesting to go back and read it over again, knowing what I know about how it ends and how it all ties together. Something I found quite interesting as the series went on is that while the story is, by and large, about Jaenelle, we never do see things from her perspective. This makes sense, since as Witch, seeing things through Jaenelle’s eyes would cause a lot of the mystery to be lost, but I found it also paralleled the idea of her being “dreams made flesh.” The reader’s view of Jaenelle is formed entirely through the eyes of those around her, just as she is the embodiment of the power to be what people need the most at that time. I have no idea whether this was intentionally done or just a wonderful and appropriate side-effect of keeping the perspective away from her to enhance the impact and revelation behind certain events, but either way, it was an interesting thing to note. Somewhat frustrating but still appropriate was the way important character developments got almost side-stepped if they happened during the span of time between two books. The best example being Lucivar’s marriage. It was treated with no more than a fairly casual, “Yup, got married, this is my wife,” which makes sense since we’re seeing it through Daemon’s eyes at the time and also because the plot was already fairly complex and to add another romantic subplot would have potentially stretched the book on by a good hundred pages or more to properly do it justice, but in some ways, it felt like a bit of a cop-out, like setting it up would have been too much trouble and so it was just established that the whole event had happened in the past. When I get right down to it, I have to confess that my initial opinions of this series were a touch unfair. Where I thought things were poorly done, there was often a reason and a reveal later on. The writing improves dramatically as the books go on, and in Queen of the Darkness, the repetition that bothered me so much in the previous two books is far less common. Seeing Jaenelle develop from a frightened and abused young girl to a powerful ruler, one who has immense otherworldly power and yet is still bound by very earthly rules and traumas, was interesting and well done. The characters grew on me, the setting grew more complete in my mind, and I ended up being pretty fond of the series as a whole, in spite of earlier issues with certain things. 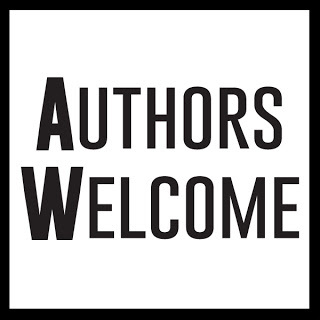 I’m now quite happy to take a look into the spin-off novels and short story collections and see what I think of those. The series touches on issues that are still important and prevalent today, and so has something of a timeless feel. It’s something that I feel could appeal to many if they take the time and patience to let themselves sink into the story and really immerse themselves in it. Ultimately a very satisfying trilogy in a very rich, complex, and dark world.